EXCLUSIVE! 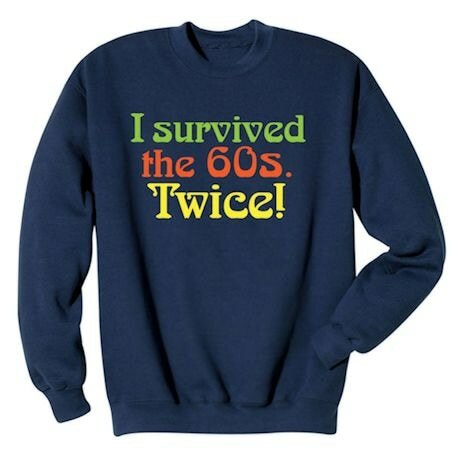 Anyone who survived the 1960s and is still around is pushing 70. 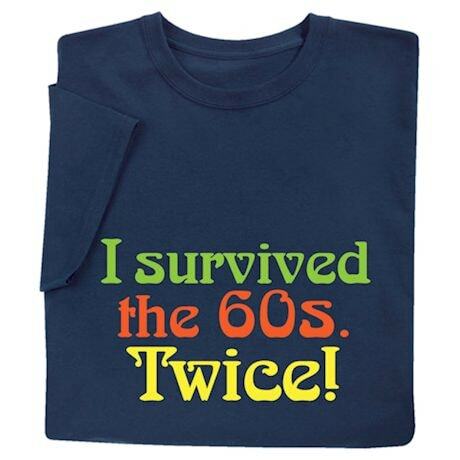 Celebrate longevity and lots of great memories with a slightly psychedelic shirt. Navy sweatshirt is 50/50 cotton blend, T-shirt is preshrunk 100% cotton. Sizes S-3XL. Imported.